The List have partnered with Knockengorroch to give you the chance to win four day tickets to the Knockengorroch World Ceilidh. Knockengorroch World Ceilidh is back this May with their new festival theme 'journey to the end of the rainbow'. With a diverse line up featuring: Benjamin Zephaniah and the Revolutionary Minds, Moonlight Benjamin, Elephant Sessions, Talisk, Mungos Hi Fi, Kenny Knots and many more over 5 venues at a beautiful location in the lush mountains of SW Scotland - this festival cannot be missed. The festival also has a live procession, shopping stalls, children's area, circus, celtic longhouse, fire shows, theatre, outdoor swimming area and not to mention the best food and drink available from across the globe. What is the festival theme this year? 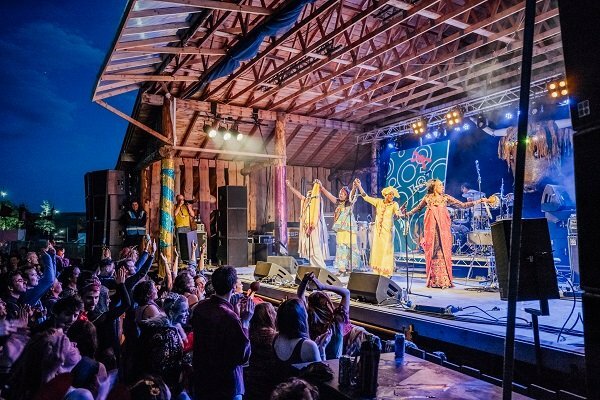 An outdoor festival with the emphasis on roots music, the line-up is a melting pot of world, folk, fusion and dub reggae music with electronica, hip hop and drum & bass thrown in for good measure. Competition closes 30 April 2019. Offer does not include vehicle passes. The List's usual rules apply.